18,000 chickens killed in new outbreak in Georgia U.S.
Taipei, a poultry farm in Liujiao Township of Chiayi County, southern Taiwan, was confirmed Monday to be infected with the highly pathogenic avian influenza virus, leading to the culling of 13,349 birds, the county's Livestock Disease Control Office said. This was the third poultry farm hit by avian influenza subtype H5 in the southern Taiwanese county so far this year, according to data released by the Cabinet-level Council of Agriculture (COA). As of 6 p.m. Monday, a total of 1,009,068 birds have been destroyed at 110 poultry farms infected with highly pathogenic avian flu viruses across Taiwan since the beginning of this year. The Georgia Department of Agriculture reports that the state's first case of avian influenza (bird flu) has been found in Chattooga County. 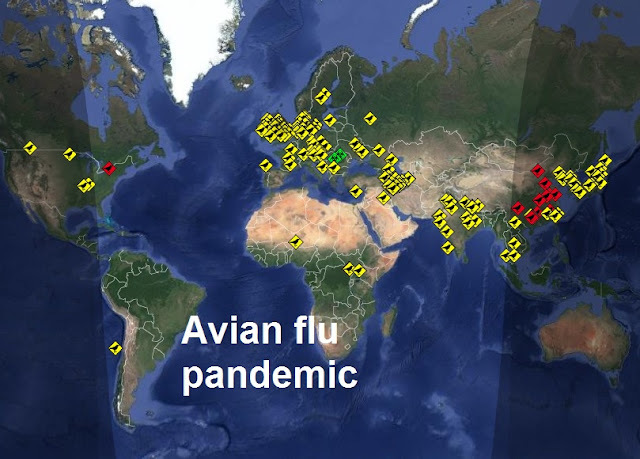 Chickens, part of a flock of 18,000 birds at a commercial poultry breeding operation tested positive for H7, presumptive low pathogenic avian influenza (LPAI). Officials for the GDA say this is the first confirmation of avian influenza in domestic poultry in Georgia. SENDAI – The chicken cull sparked by the nation’s latest bird flu outbreaks fell short of the originally planned goal of 300,000 Sunday as authorities in Miyagi and Chiba prefectures opted to settle for roughly 209,000 and 62,000 chickens, respectively. The two prefectures north of Tokyo were spurred into action by outbreaks of the highly pathogenic H5 strain of bird flu at local poultry farms. Agricultural officials in Chiba finished their cull on Saturday.